We all like to keep up with the weather reports to get an idea about the upcoming weather conditions. However, some of us don’t rely on the national weather service and like to have our very own weather station to get accurate and local real-time weather and even collect data, especially if it goes with the Weather Underground. However, looking for the best weather station that is compatible with Weather Underground (also called Wunderground) doesn’t have to be a struggle. 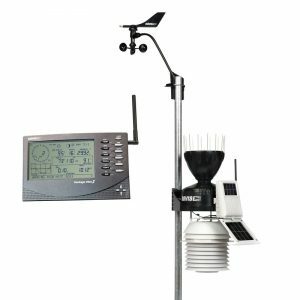 There are many great products currently for sale on the market that can fit your own personal needs, as well as create a great atmosphere for your own weather station. However, not any weather station will do. You need to look for one that works best with Weather Underground, as this will just make your life that much easier in the long run. Luckily, there are more than a few great products to choose one, so you can find one that fits your own personal lifestyle best. 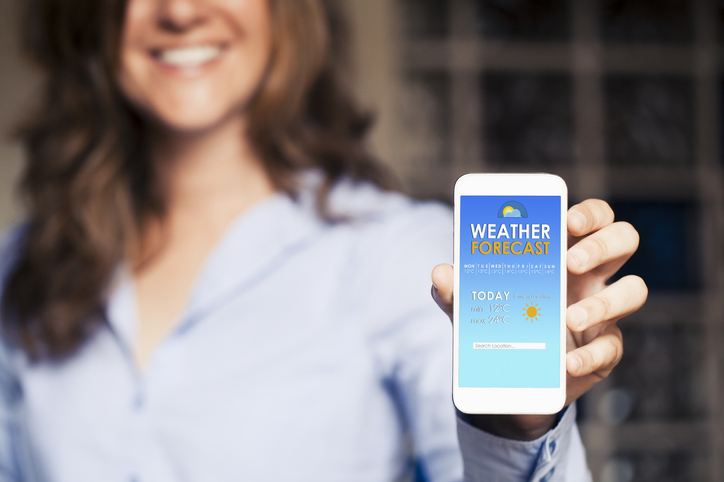 Before getting into the nitty-gritty of the best personal weather station, there are a few things that you should know prior to investing in one. If you would like one that is compatible with Wunderground (and you probably should), you need to make sure they have a few qualities such as the accurate collection of weather data. While it’s important to make sure you understand how the weather station works, as well as how to set it up and install, at the beginning of your investment, you should always make sure that the weather station also has the ability to seamlessly connect to Weather Underground in some way. 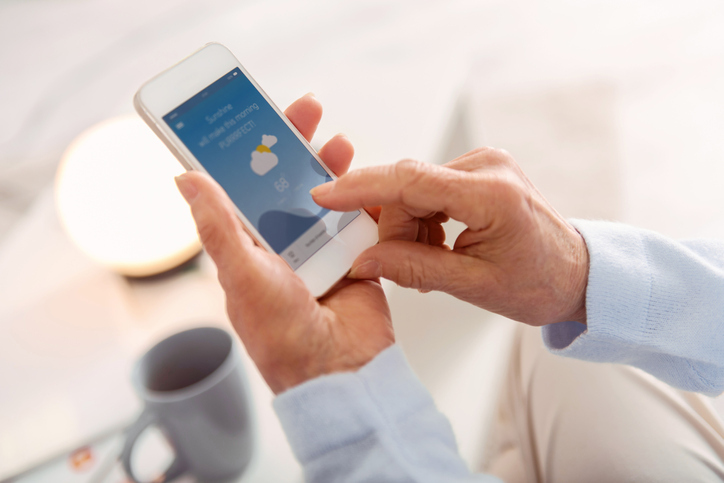 Therefore, having a weather station that can connect to the internet, or to your laptop or phone via an app or weather widget, could be vital for success so you know what temperature it is, temperature and humidity, the chance of precipitation, or the barometric pressure to see whether a storm is brewing and so on. Efficient connectivity is important for many different products you may have, especially your weather station. It’s also important to make sure that your station will actually stay connected to Weather Underground or the internet, as well. There’s no point in buying a faulty weather station that has been known to be spotty on their connectivity. Therefore, just don’t buy a station that has a history of connectivity issues. It’s really not worth it. Now that you’re aware of what, exactly, you should look for in a new weather station, let’s get down to discussing the most professional weather station available to satisfy your needs. All of the weather stations mentioned here are the absolute best, though you may feel that some are more superior than others, as some may fit your lifestyle better. However, all are the best on the market, and all meet the qualities that we’ve mentioned above, unless otherwise stated. It’s always handy to have a good understanding of the best products for sale. Therefore, here are the best weather stations to invest in for Weather Underground. Possibly the best weather station that is compatible with Weather Underground, the RainWise PWS is so easy to install, it’s crazy. 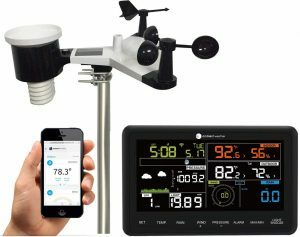 This specific weather station comes with the easy ability to connect to the internet, which helps make it very compatible with Wunderground. Obviously, this is ideal. Plus, it actually stays connected quite seamlessly, which helps. Have you had a weather station in the past that keeps on disconnecting, leaving you frustrated? This weather station won’t leave you feeling like that. 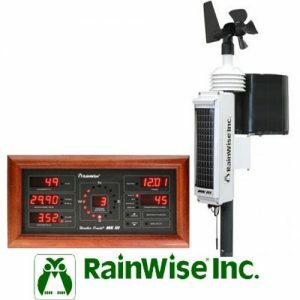 Other than RainWise’s great connectivity aspects, this product also pressure and rainfall instruments, as well as temperature, relative humidity, and wind speed instruments—basically, everything you really need for a productive and capable weather station. A customer favorite that has led the pack when talking about all weather station aspects, Davis Instruments has hit a home run with this product, yet again. This specific weather station is probably best for the more informed weather enthusiast who has worked with their own personal stations before, in some regard. Mainly because of the price point and the overall installation process, it might be easier for those more advanced. However, even if you’re not the most advanced weather enthusiast, this station is still a great investment—it just might take a learning curve to really get the hang of it. Furthermore, if the price point is scaring you off, it shouldn’t. Investing a bit more in something as stable as this Davis weather station could save you a ton of money in the future, as these things basically never die. No replacing the weather station after a year or two here. Ambient Weather has always produced really long-lasting and high-class weather stations, but this specific model is the newest and best. Not only does it have great connectivity aspects, but it also lasts forever. Even after having this product for years, this Ambient Weather Station will still work efficiently. This weather station is also a bit cheaper than, say, the Davis Instruments model we talked about above. Therefore, if you’re looking for a weather station to start up for the first time (as you’re a beginner), or if you just really don’t have the cash to invest in Davis Instruments, Ambient Weather is a great way to go. Now, it’s still going to cost something. However, compared to all the other products out on the market, this is one of the cheaper ones that are still very efficient. If you like to add instruments or different aspects to your weather stations and build off of them, Netatmo Weather Station is great. Because of this, Netatmo might be better for those who are comfortable with weather stations and have worked with them in the past. This product is really great for those who like to DIY or add-on in different aspects. Netamo is also very easy to install and understand across the board, both in the beginning stages of installation and whenever you are adding on to it. 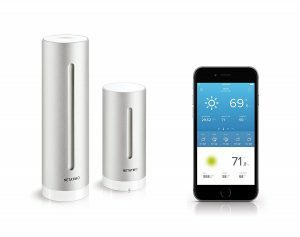 Along with the adaptability and great connectivity details, Netatmo also comes included with a sound meter, pressure instrument, and all other necessary weather station instruments. 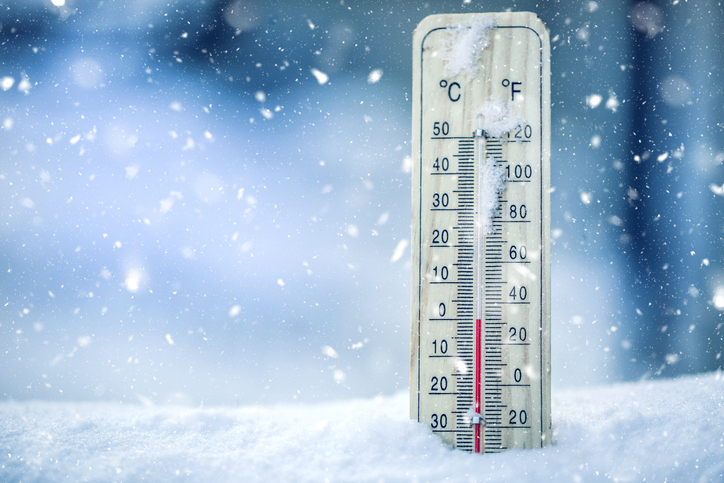 Common add-ons include rain gauges and more temperature tools. There are some really great weather stations on the market at the moment… and then there aren’t some really great ones. If you’re looking for the best that connect easily and seamlessly to Wunderground, look no further than this list. With their great connectivity details that will actually keep you connected (and not disconnect for no reason), these weather stations are ideal. However, these products also are just fantastic weather stations, even if you take away their Weather Underground capabilities! This entry was posted in Uncategorized and tagged Weather, Weather Station, Weather Station for Weather Underground, Wunderground.